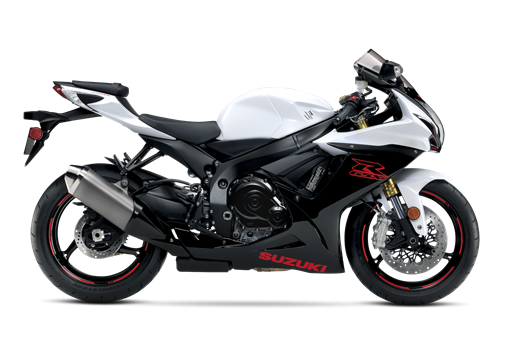 The GSX-R750’s look was born and raised on the racetrack, and for 2019 that styling has two new, dual-color paint schemes. Riders can choose the Glass Sparkle Black/Pearl Glacier White scheme that includes red bodywork graphics and striping on the black cast aluminum wheels. Also available is a scheme that blends a shiny and flat finish via Metallic Matter Black/Glass Sparkle Black bodywork that also includes red graphics and accents on black wheels.